A summer vegetable garden is the perfect place for growing warm weather vegetables such as cherry tomatoes. 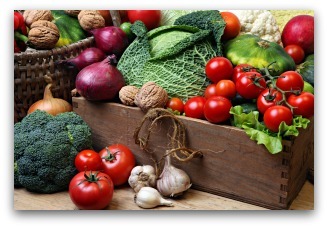 A summer garden can provide an abundance of fresh delicious produce for your family to enjoy. If you missed the spring planting time, it's not too late to get started with your vegetable garden plans. Many vegetables have short growing times, and can be planted and harvested within a few short weeks. Growing vegetables such as lettuce, radish, green onions, green beans, and many heat-loving herbs is easy to do, even starting in mid-summer. The hottest and the driest weather do not foil a summer vegetable garden filled with succulent plants that adore the heat. Summertime is a good time to plant traditional warm weather vegetables such as cherry tomatoes, sweet potatoes, okra, and peas. Makes my mouth water just thinking about it, so let’s get busy planning and planting! What Kind of Summer Vegetable Garden Design to Consider? 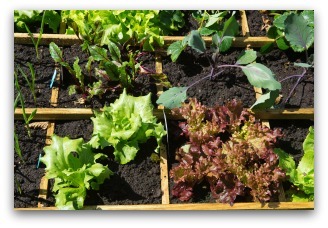 If you don't have a tilled area ready for planting, consider creating a container, square foot, or raised bed garden. 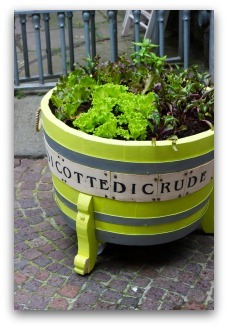 These vegetable garden designs are easy for a beginner planning a small simple home garden. 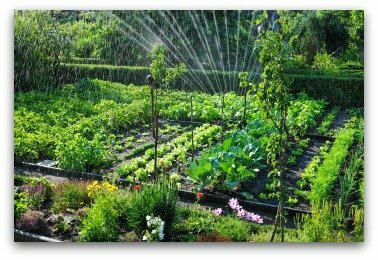 Just be sure to choose a sunny location with a source of water nearby for your vegetable garden location. This may be the easiest of all vegetable gardens to design and implement. 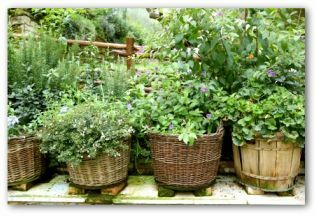 Simply assemble a group of large containers (be sure they have good drainage holes in the bottom) in a sunny location, fill with good quality potting soil, and plant your vegetable seeds or small plants. Hint: In hot weather, give your lettuce plants partial shade for best results. Lettuce is one of the few vegetable plants that will be happiest when not placed in full-sun. Square Foot gardening is a great and easy method of vegetable gardening developed by Mel Bartholomew. It consists of creating a 4' x 4' container garden that is divided into 16 squares. Each square is planted with one type of vegetable or herb. Follow spacing directions on the seed packets to determine how many plants to grow in each square. The square foot container can be built using 2 x 6 boards nailed or screwed together at the corners. Fill the container with good quality potting soil, or "Mel's Mix" which consists of 1/3 Blended Compost, 1/3 Peat Moss, and 1/3 Coarse Vermiculite. Mix equal parts of each ingredient, measured by volume, not by weight. A rectangular raised bed garden can be designed to be a beautiful addition to any home landscape design. If your raised bed garden will be in a prominent location, consider building the bed using brick or decorative stones. The width of a raised bed garden should not be more than 48", so that you can reach into the center of the garden from either side of the bed. It can be any length you choose. Fill the raised bed garden with garden-mix or potting soil and plant. Some traditional vegetable plants that will do well in a summer garden are cucumbers, lettuce (partial shade is good) green onions, green beans, zucchini, carrots, cherry tomatoes, and beets. If you are planting a container or square foot garden, look for dwarf or compact varieties of vegetables as they will work best in smaller garden plans. Non-traditional crops that thrive in warmer conditions for the non-traditionalist gardener include dasheen, sweet cassava, and boniato. 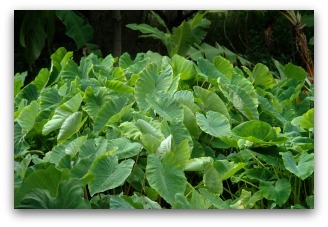 Dasheen, also called taro, is a tuber with big heart-shaped foliage that look like their cousin, the elephant ear. Many gardeners grow this plant for food as well as to enjoy its ornamental leaves. To start a new planting, set dasheen 2 feet apart in rows 3 inches deep. The plants require enriched moist soil. Keep them mulched to promote growth. Fertilizing every 4-6 weeks is suggested. All portions are edible and have a nutty flavor. The large underground stem has a mushroom taste. Cassava is a large thick-skinned tuber that is high in starch and boiled like a potato. This vegetable is a source of tapioca, which is made from cassava roots. This perennial can grow up to 8 foot tall! Begin new plantings with cuttings from 10-12 inches long. Set the stems 4 foot apart horizontally, 5 inches deep in a prepared summer vegetable garden. Sweet cassava plants prefer mulched moist soil and fertilizer every 4-6 weeks. Boniato is a tropical sweet potato, so it thrives in a summer vegetable garden. It is a related to the morning glory family. The boniato was cultivated as early as 1000 B.C. in Central America. In color and flavor, the tuber is often considered a cross between a sweet potato and a baked potato. It is distinguished by its burgundy-colored skin and is fluffier and less sweet tasting than a regular sweet potato. Water regularly to help plants beat the heat, but avoid soggy soil, which encourages plant diseases. Less-frequent deep watering works better than frequent surface watering. The best herbs for growing in a summer vegetable garden are oregano, tarragon, sage, basil, mint, marjoram, rosemary, and thyme for their unique flavors. 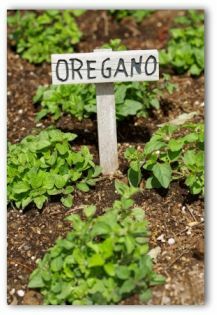 Oregano is also called wild marjoram, and has a similar flavor although a bit stronger tasting. Begin planting by starting seeds, plants will grow creeping along the soil up to a foot or more in height. Sage, which grows 18-24 inches tall, makes an attractive addition to your summer vegetable garden. The foliage gives off a spicy aroma when rubbed. Besides, the common variety, gardeners enjoy varieties of red, blue, golden, and tricolor leaves. Sage starts from seeds or cuttings and grows easily even in the poorest of soils. Once the plant becomes established its requirements are minimal with only a little fertilizer and water. 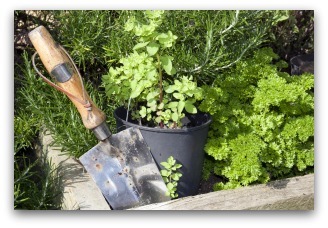 To harvest herbs, cut before the heat of the day to reduce stress on the plant. Yes, they stress out too! Look for stalks that have yet to bloom and snip just before a leaf. Snipping the youngest growth encourages the plant to grow denser. When summer fills your vegetable garden with more herbs than you can use, freeze or dry them to keep the fresh flavor. For drying, limit bundles to seven stems. Let the plants flower for the beauty of dried blossoms. Be aware that allowing the blossoming for cooking or garnishing shortens the life of the plant.